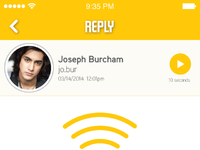 TALKiT is the new Social Media alternative to texting, by sharing your voice. 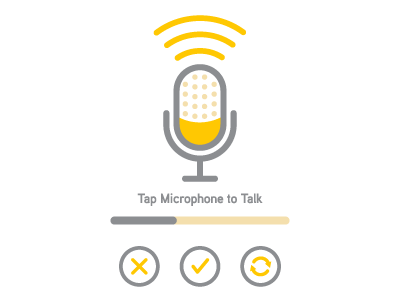 Create short, instant seven (7) to ten (ten) second audio messages for your family, friends and followers to hear, without texting. Here's a screenshot of the record screen.